HR experts across industries understand that there are important and unique aspects of the HR world specific to each industry. 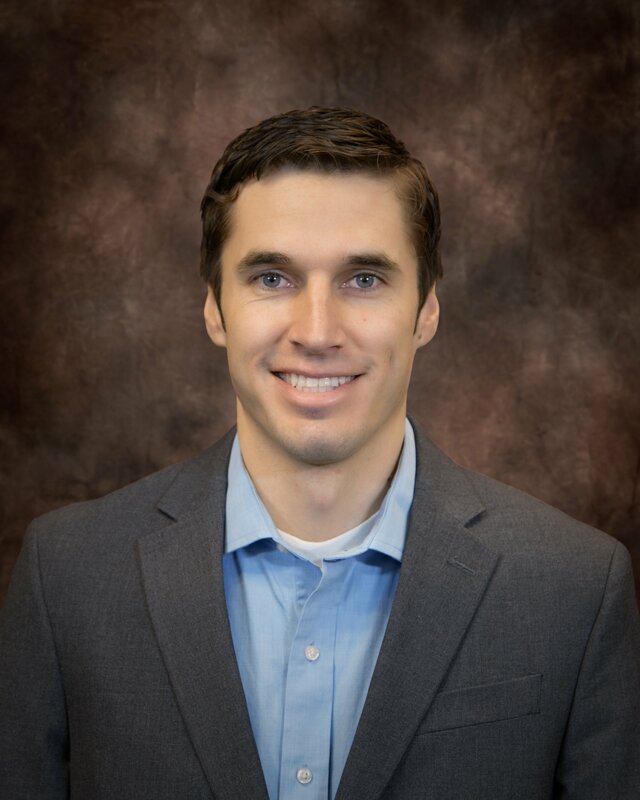 This post will focus on four areas of the manufacturing world that HR leaders, hiring managers, and executive leaders in the industry should strive to have a solid basic knowledge of to give their organization a stronger foundation and a better future. This is the core of the industry. Production can be reduced in two main ways: quality and speed. Even if your organization has engineered a perfect system to execute quality and speed with exactness, your employees are the ones who will ensure that this system is carried out. The recent film, The Founder, tells the story of how the world famous fast food restaurant, McDonald's, began. The two McDonald brothers, Maurice and Richard McDonald, talked about building a custom kitchen to meet their extremely high standards for quality and speed to prepare and serve burgers, fries, and a drink. The perfect kitchen structure allowed several employees to work simultaneously and produce their product at a revolutionary pace while still maintaining quality. However, when the discussion of franchising the company emerged, they were extremely hesitant because they had tried it, and it failed. The problem? Finding managers and employees who would follow those strict standards. Many other companies have similar problems to the McDonald brothers. The right system is in place, and facility production would be wonderful if the right employees were in place. This is where a solid structured hiring process comes into play. There are several key pieces to a great selection process, but often companies overlook the value of a manufacturing assessment, which can identify, select, and develop employees who are more likely to have the skills and abilities needed to execute production goals. These assessments target specific manufacturing production competencies through various testing methods. Assessments can be short or more in-depth and can be customized to fit target positions at your organization. They also have shown to reduce productivity loss by 94% which could be the missing link between mediocre production and record-setting production. We have all left a job for one reason or another. There is a wide range of factors that can affect a person’s decision to leave their employer. Turnover is complicated. It is difficult to quantify and understand exactly what causes turnover in each organization. What we do know for sure is that turnover is very expensive. In a study done by Select International, we found that using an in-depth manufacturing assessment can reduce employee turnover. 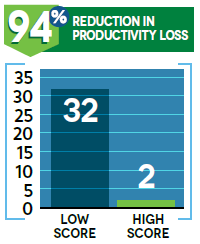 In this study, those who failed the assessment had a 40% new hire turnover rate while those who passed the assessment had a 29% new hire turnover rate. Indirect costs of incidents are one to five times higher than direct costs associated with every incident. For every dollar spent on medical expenses for a workers’ compensation claim, an estimated additional $4 for indirect workers’ compensation costs is incurred. For every dollar of disability (lost time) expenses paid for a workers’ compensation claim, an estimated additional $2 to $10 is incurred in indirect workers’ compensation costs. Considering that in 2015, the average workers’ compensation claim was $36,894, the total cost (direct and indirect) could easily be over $200,000. Though there are many ways to approach the reduction of safety incidents and maintaining a safe culture, Select International has taken a unique approach to helping resolve this issue. We seek to identify specific traits and abilities that make up one’s “SafetyDNA” by identifying and measuring these unique characteristics. Through the assessment, employees can identify their own SafetyDNA, get insight on their own safety “blind spots,” and gain personalized safety plans. 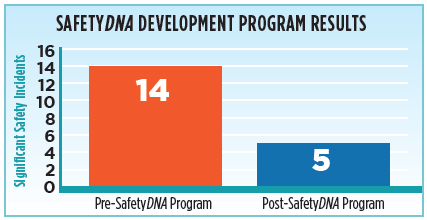 Our study showed that individuals experienced 64% fewer significant safety incidents in the three-month period immediately after the SafetyDNA Development Program was set in place. Manufacturing is a unique industry that requires a focus on some specific areas in order to achieve success. These four facets of manufacturing are challenging and difficult to master. However, high-quality, well-designed assessment tools can provide a critical advantage to hire safe and highly productive employees that stay with the company for the long haul.